Ford Motor Company is offering you a chance to win the Ford vehicle of your choice in their Built Tough Chance To Win A Ford Sweepstakes. 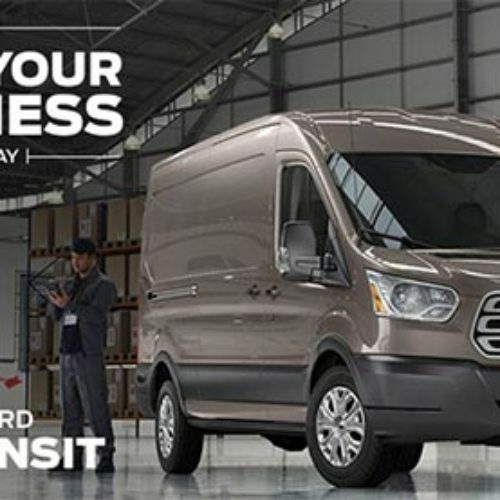 Ford is celebrating their success by offering you a chance to win a 2015 Ford Transit plus $5,000 to help you build your business so you and your vehicle are ready for anything. 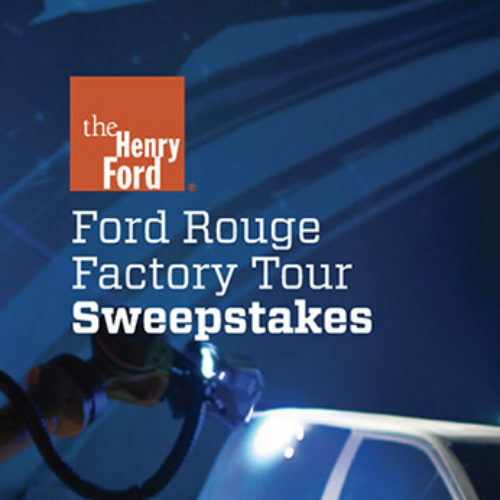 Win VIP Ford Tour and $1,000 in Shell gas. 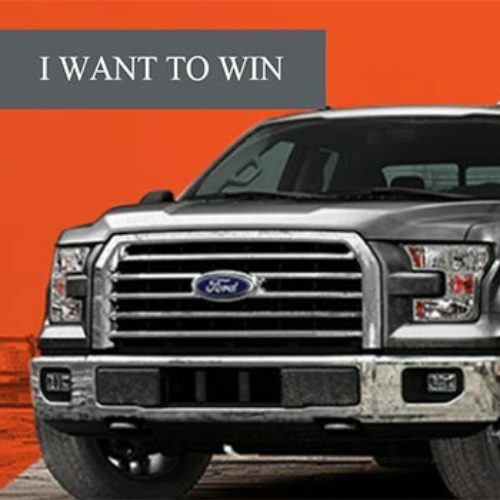 Enter for your chance to win a VIP tour to see the making of the Ford F-150. VIP trip for two to the Ford Rouge Factory Tour and $1,000 in Shell gas. 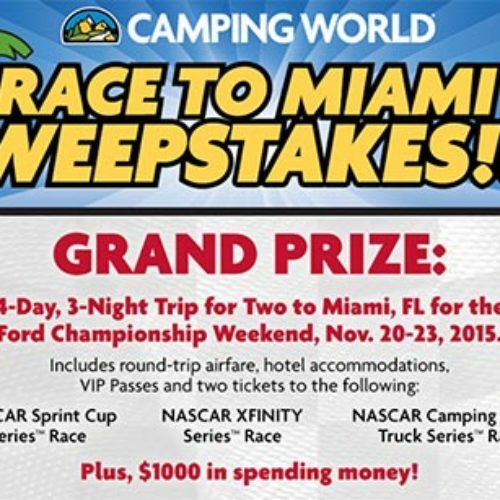 Enter Camping World’s Race To Miami Sweepstakes for your chance to win a trip for two to the Ford Championship Weekend in Miami that includes airfare, hotels, VIP passes and two tickets to three NASCAR races. 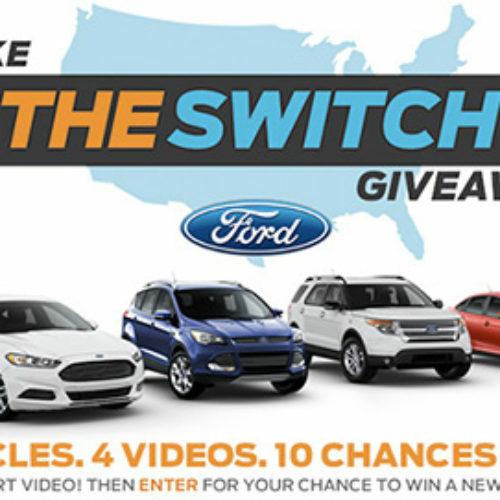 Enter for your chance to win a new Ford Vehicle in the Ford Make The Switch Giveaway. 4 Vehicles. 4 Videos. 10 Chances to Win. Enter for your chance to win one $30,000 voucher to be applied towards the purchase of winner’s choice of one of the following vehicles: 2015 Ford Fusion, 2015 Ford Escape, 2015 Ford Focus, 2015 Ford Explorer in the Ford Make the Switch Giveaway! 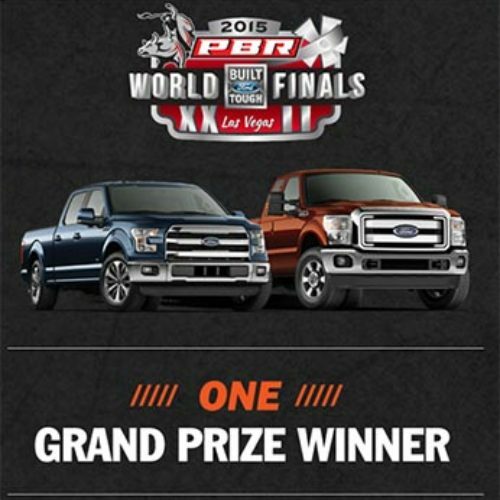 Enter for your chance to win a VIP trip for two to the PBR World Finals in Las Vegas and an all-new 2015 Ford F-150 truck plus a $25,000 donation towards a deserving charity all from Ford in their Good Works Giveaway. 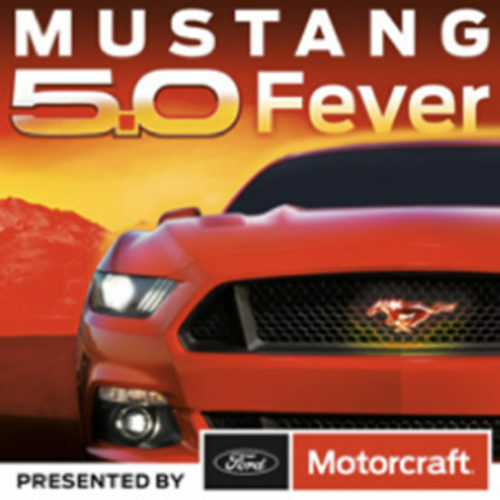 Enter the Motorcraft Mustang 5.0 Fever Sweepstakes for the chance to win a new 2016 Ford Mustang GT with $5,000 in Ford Racing Performance Parts. 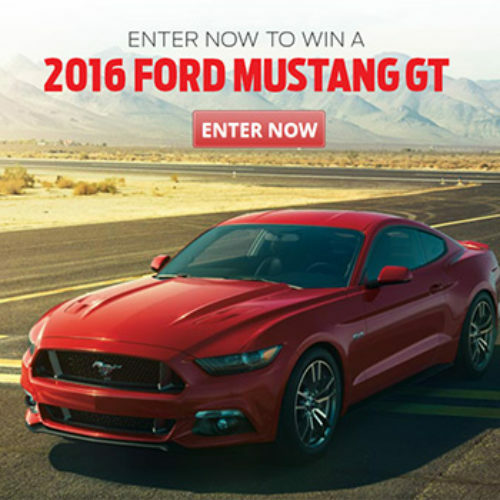 Enter for your chance to win a 2016 Ford Mustang GT from Mustang 5.0 Fever and Ford Motorcraft. 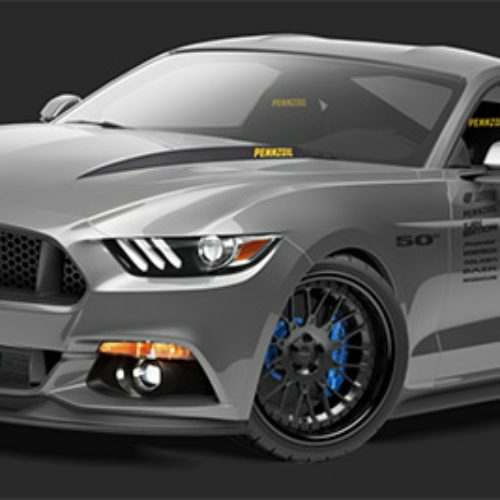 Enter for your chance to win the 2015 UTI / Pennzoil Tjin Edition Ford Mustang GT featuring 10+ modifications including a Vortech supercharger, MagnaFlow exhaust, Falken tires and Eibach suspension.